Welcome to Amelia Rotaru’s lab at the University of Southern Denmark. We investigate how to harness microbial metabolisms to produce fossil fuel-free renewable resources and control harmful microbial processes. For these purposes, we look at extracellular electron transfer for energy metabolism in various microorganisms. We do so by carrying analyses at the interface of microbial physiology, functional genomics, and electrochemistry. The primary research aim is to learn how microbes make use of solid surfaces (minerals, metal structures, electrodes, cell-to-cell) to gain energy and/or to respire. Yee et al. 2019. Front. Energy. Res. the first demonstration of electromethanogenesis by Methanosarcina barkeri. However, we learned that not all Methanosarcina capable of DIET can retrieve electrons via elecromethanogenesis from a fixed-potential cathode. We propose that electromethanogenesis at a set cathode-potential cannot match the redox requirements for each type of electroactive Methanosarcina. On the other hand during DIET, the partner electrogen would modulate its outermembrane cytochrome expression to match the redox requirements of its partner Methanosarcina. 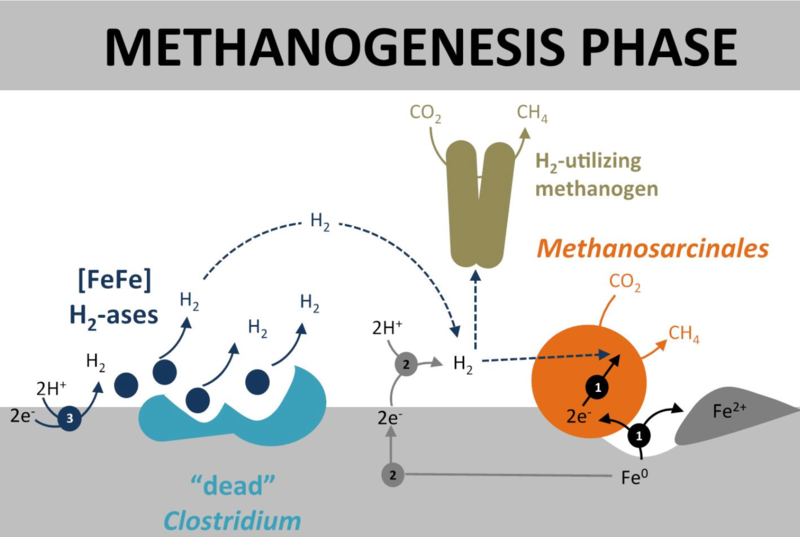 dead Clostridium stimulate the growth of methanogens but not as previously assumed via acetate-transfer. CO2-reductive methanogens were stimulated by the Clostridium [FeFe]-hydrogenases (abundant in their genomes) released after the collapse of the acetogens. Clostridia genome-screening indicated they are the N2-fixers (a process that is very energy intensive), thus their collapse releases readily fixed N2 for the methanogens to use, reducing the energy expenses for the later. the first demonstration of metallic iron corrosion by an environmental Methanosarcina from the Baltic Sea. 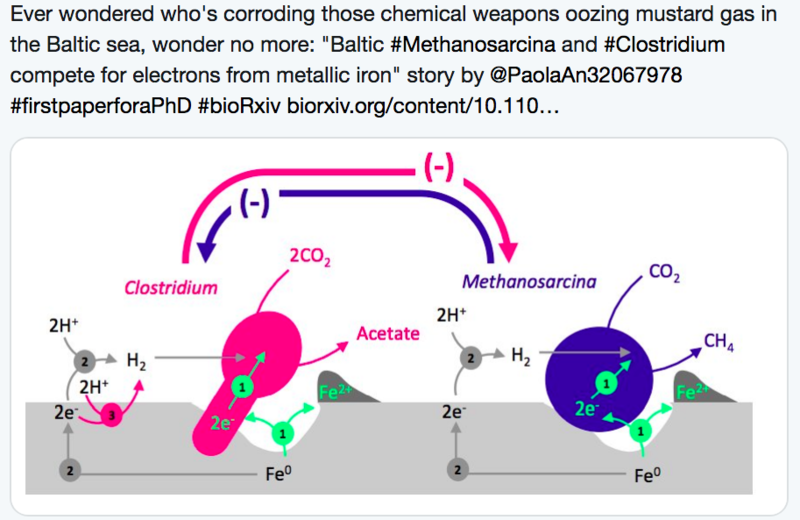 this Methanosarcina was competing for electrons from iron with Baltic-acetogenic Clostridium, rather than using the acetate produced by the acetogen. Thus we challenge previous views that corrosion by Methanosarcina’s (often found associated with corroded structures) is rather the result of these methanogens utilizing substrates generated by microorganisms directly accessing the metallic surface. this is significant because the Baltic Sea is the dumping ground for radionuclide and chemical waste (including chemical weapons) stored in steel containers. Now we know who may be bio-deteriorating these iron structure in the depths of the Baltic Sea. we hunted for DIET type of associations in the coastal sediments of the Baltic Sea. We learned that Baltic Geobacter-Methanosarcina consortia survived only in the presence of conductive particles, unlike lab-consortia of related cultures species. This conductive particle-dependent consortium produced significant amounts of methane. Conductive particles could increase in coastal areas due to the erosion of land/rocks following excessive agriculture and global warming effects. 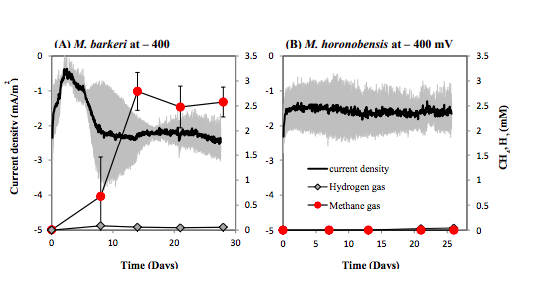 Conductive particles enable syntrophic associations with enhanced methane-activity. Thus mineral-syntrophy could be a key to enhanced greenhouse gas emissions, and an unwelcomed positive feedback trigger for global warming. Mads Schou Vammen (directed) and Mon Oo Yee helped create this video a couple of years ago. Although it was intended for a Johnson & Johnson award (which I never got) it gives a fantastic 1-minute overview of my labs’ research vision.